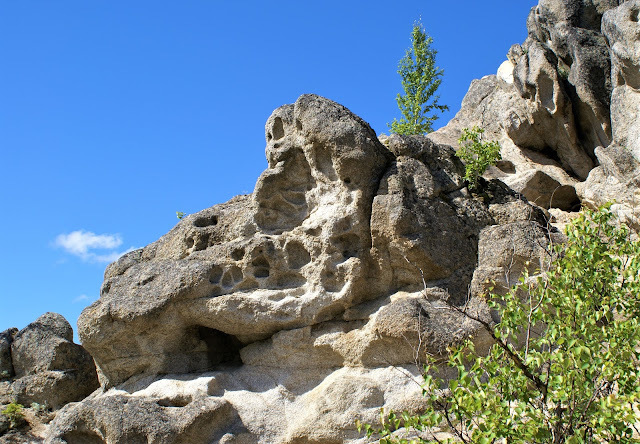 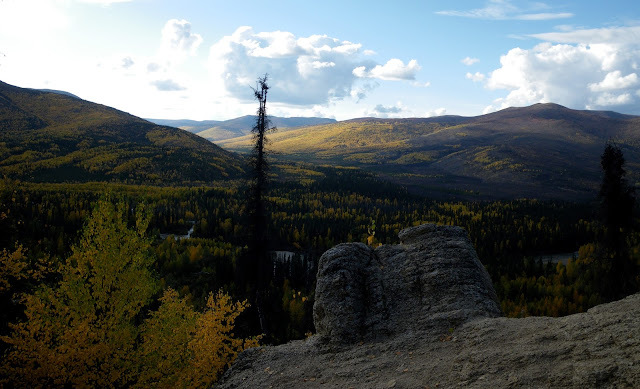 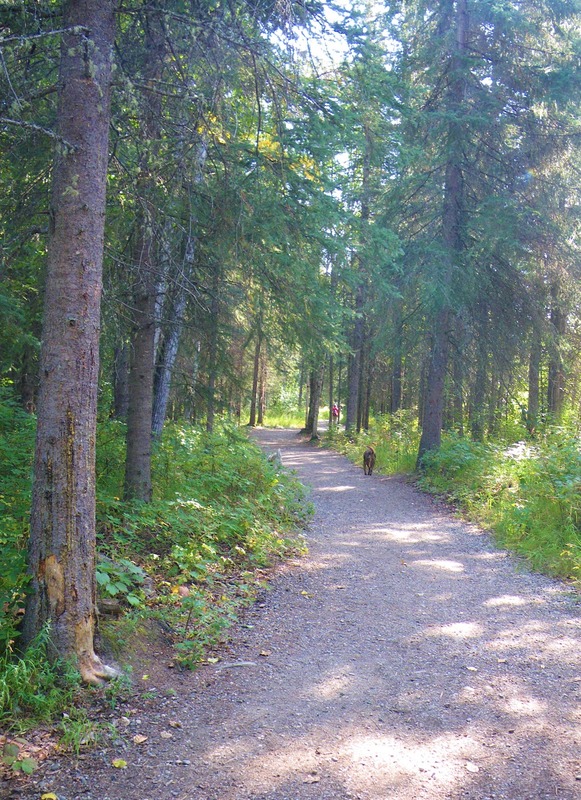 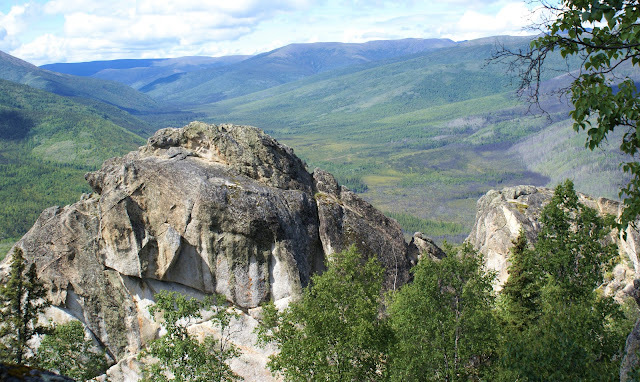 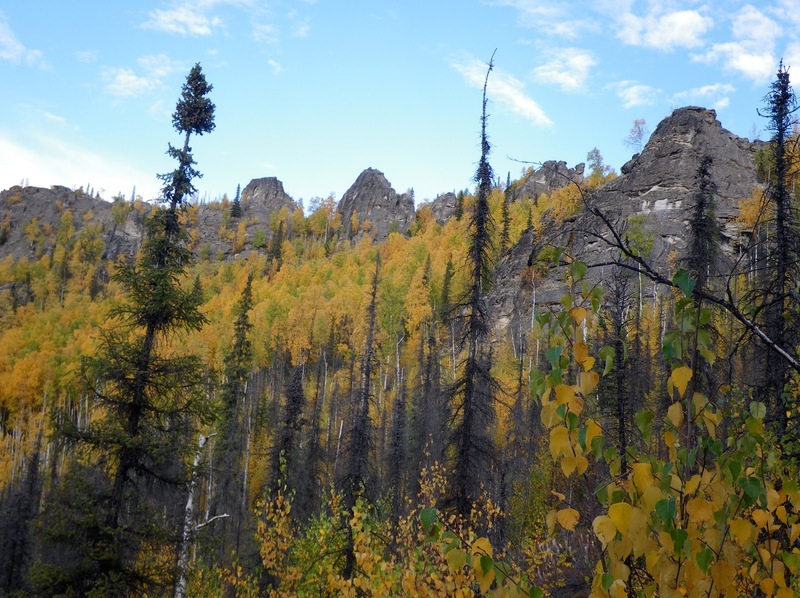 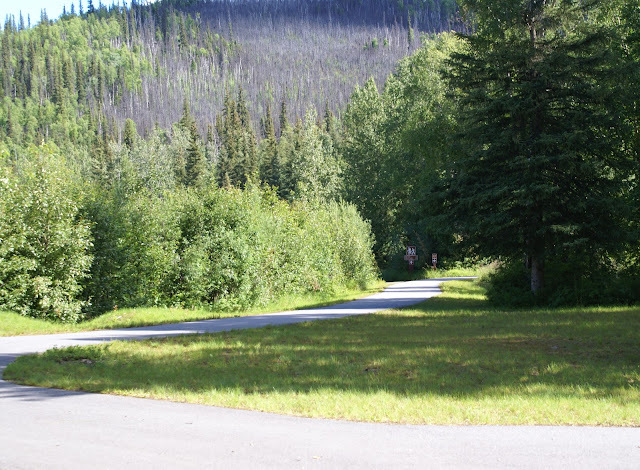 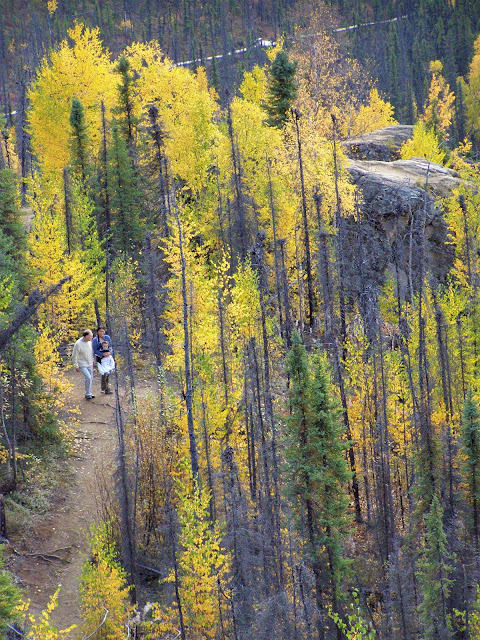 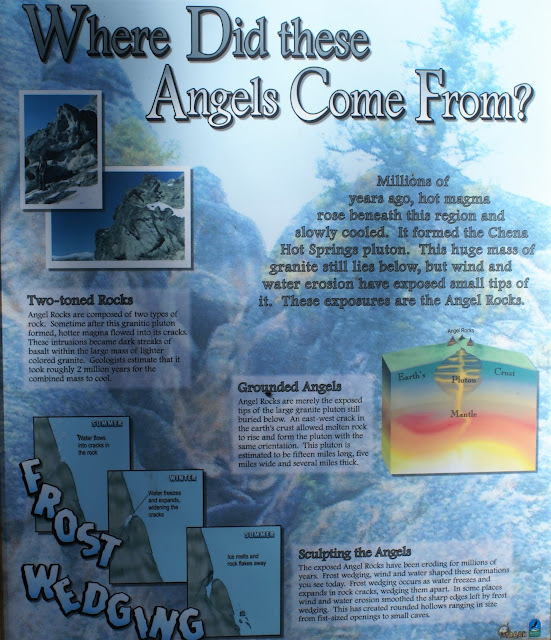 Angel Rocks trailhead is about 53 miles from downtown Fairbanks on Chena Hot Spring road. 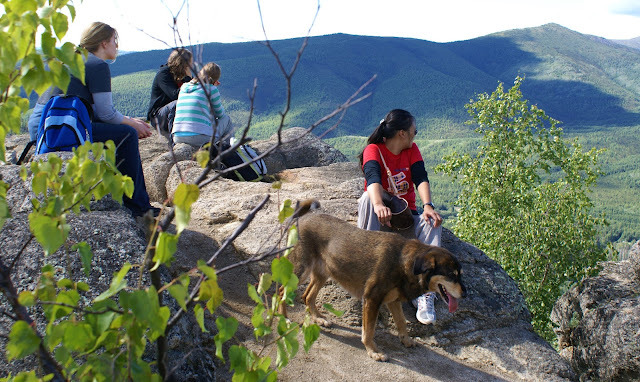 A good drive out of town and a great place for a day hike for everybody (dogs and kids). 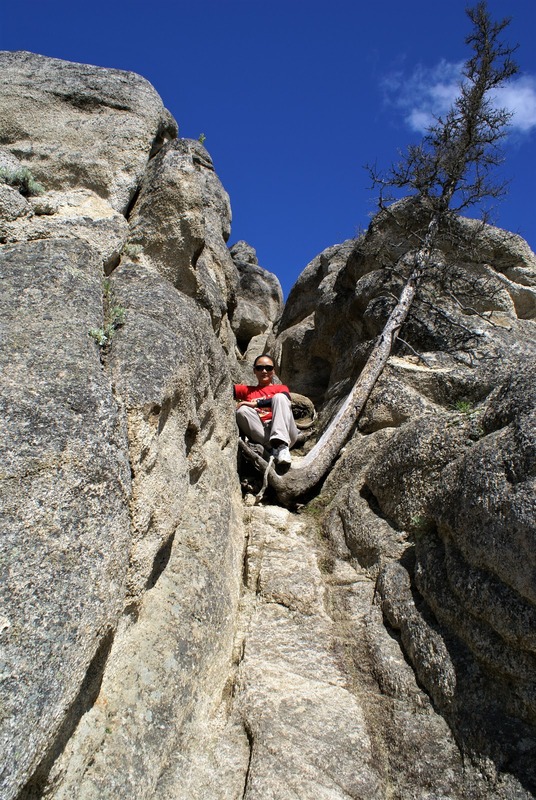 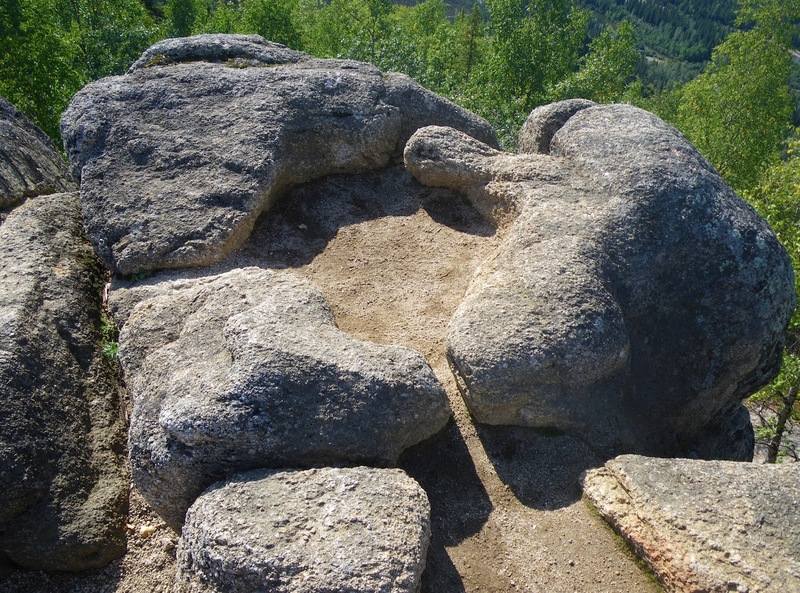 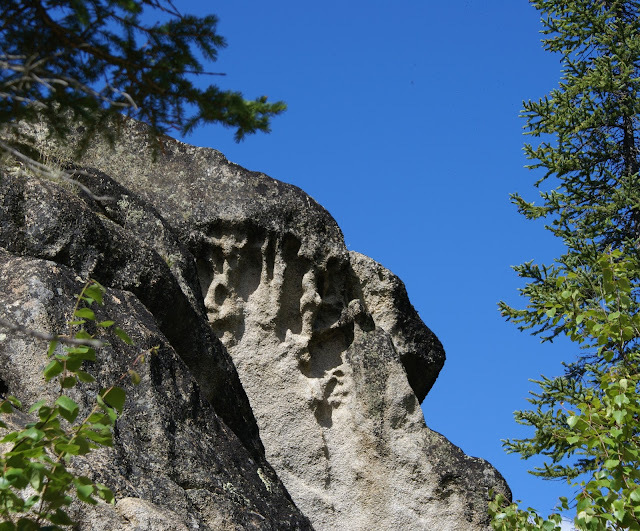 Angel Rock Trail has fantastic views and incredible rock formations or granite outcrops. 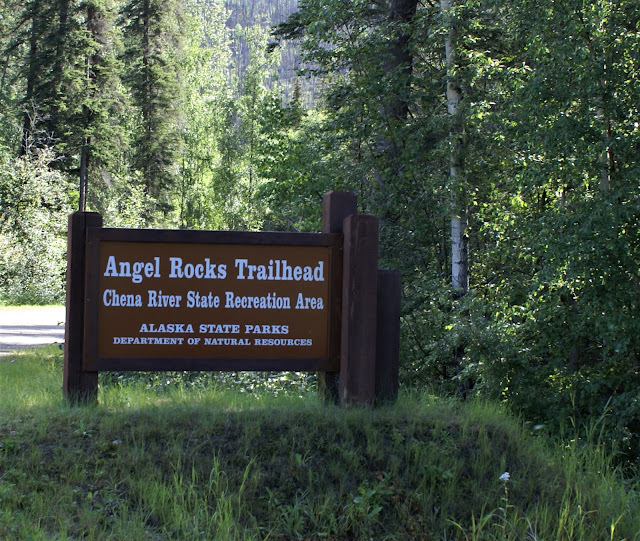 The fee for parking in the trailhead is only $5.00. A nice parking lot with lots of room. An outhouse is also located at the trailhead. 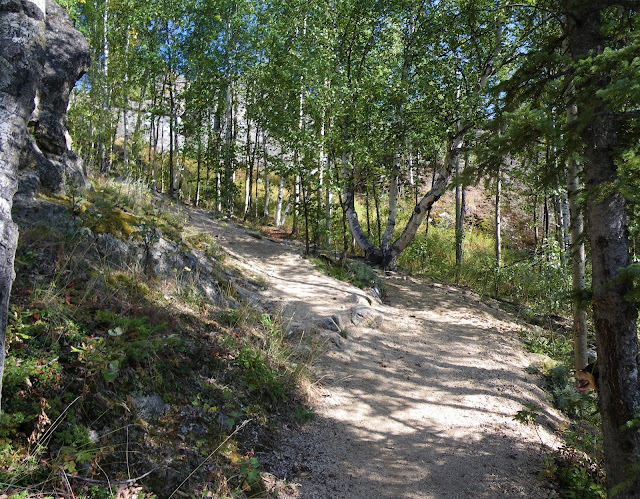 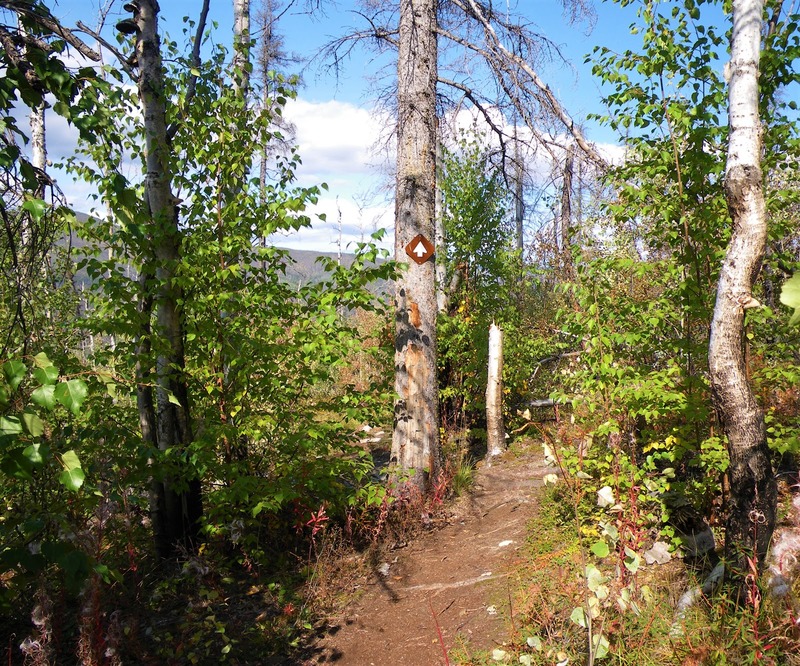 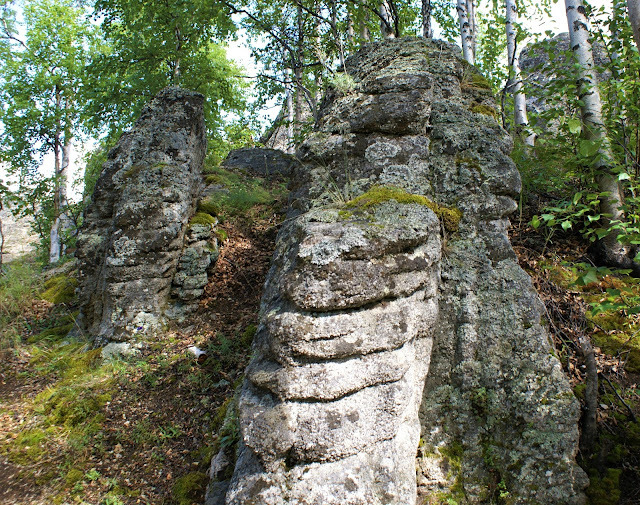 The trail is well marked and well maintained but it is also a bit steep with some loose rocks at times. 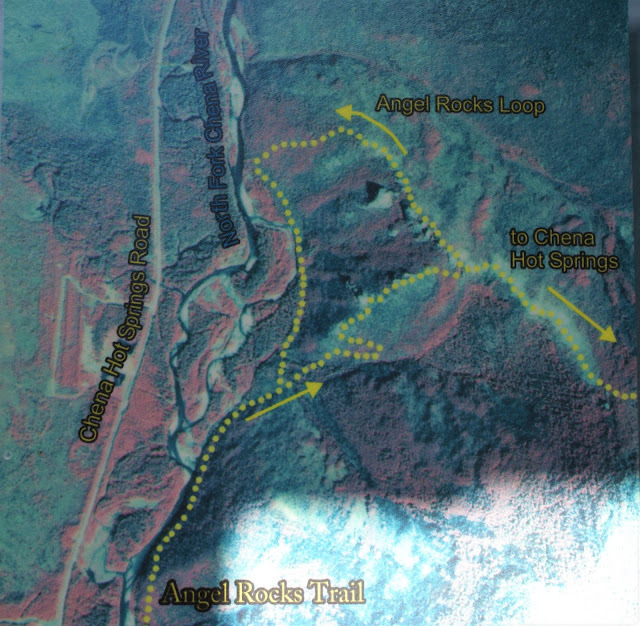 The hiking trail start flat along the river, then to the boardwalk, and then the hike goes uphill, most of the way, around 900 ft. 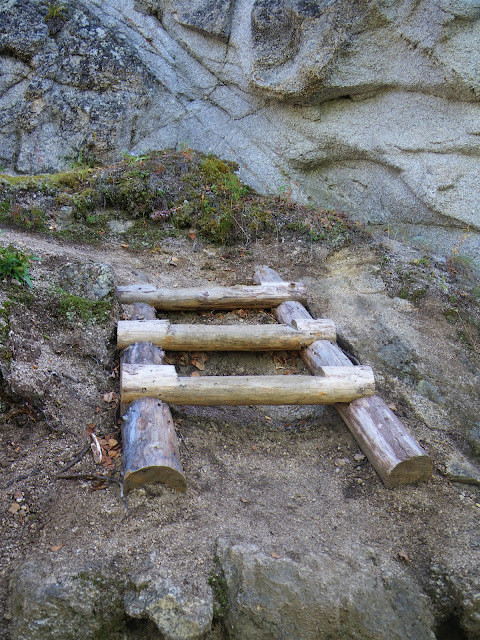 It sure is a heart pumping hike and it takes energy, but if you take your time, there will be no problem. 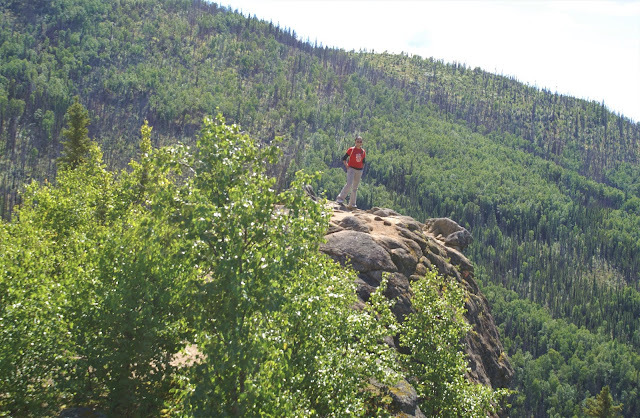 Below are pictures that was taken on several hiking trips that I did up there. 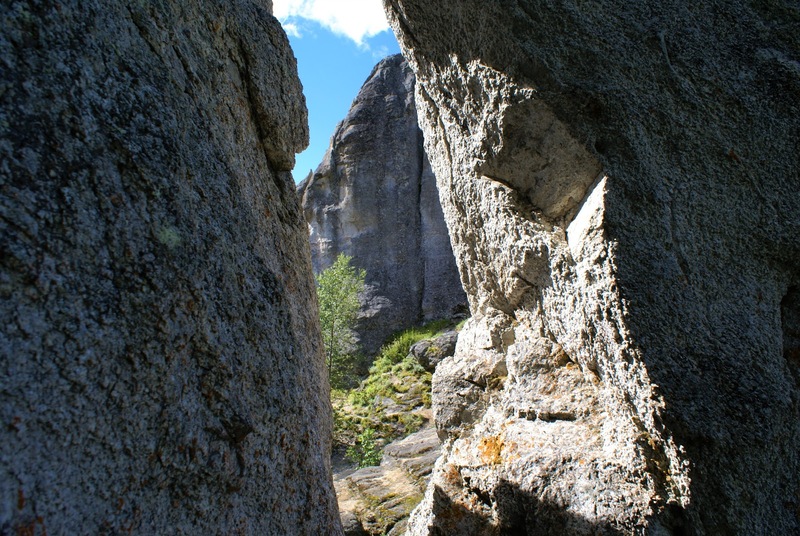 I haven't brought my son there yet, so maybe this summer I'll take him there. 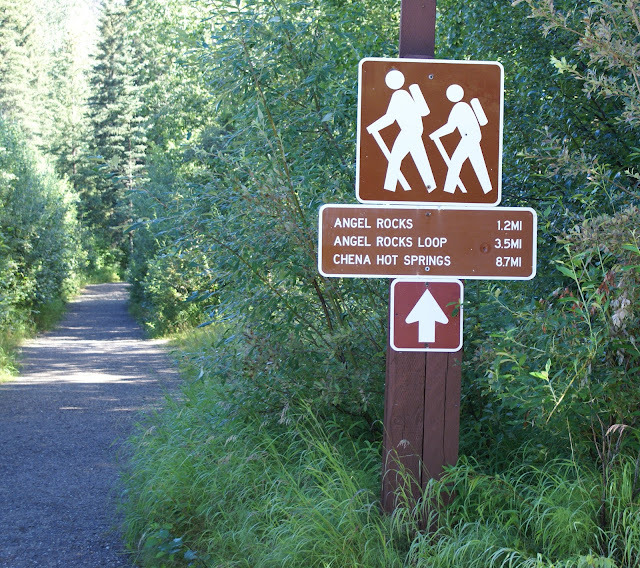 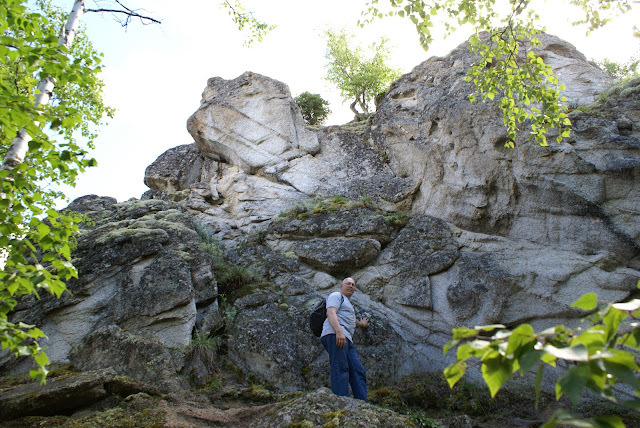 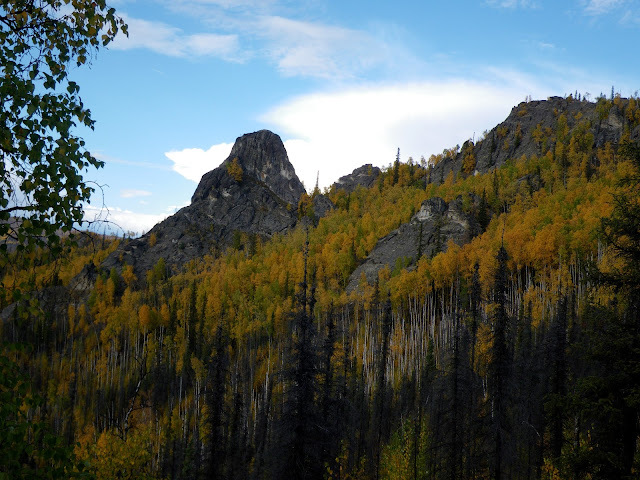 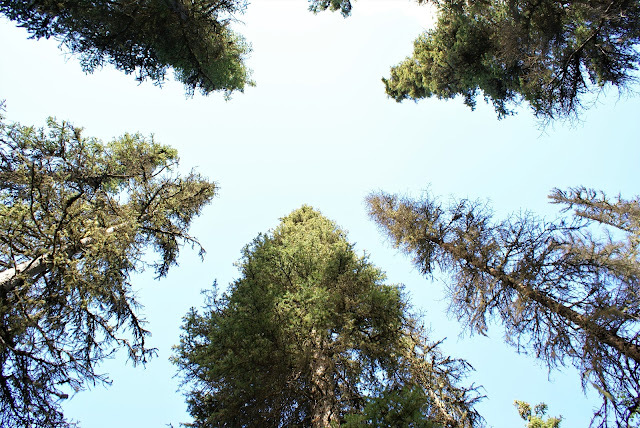 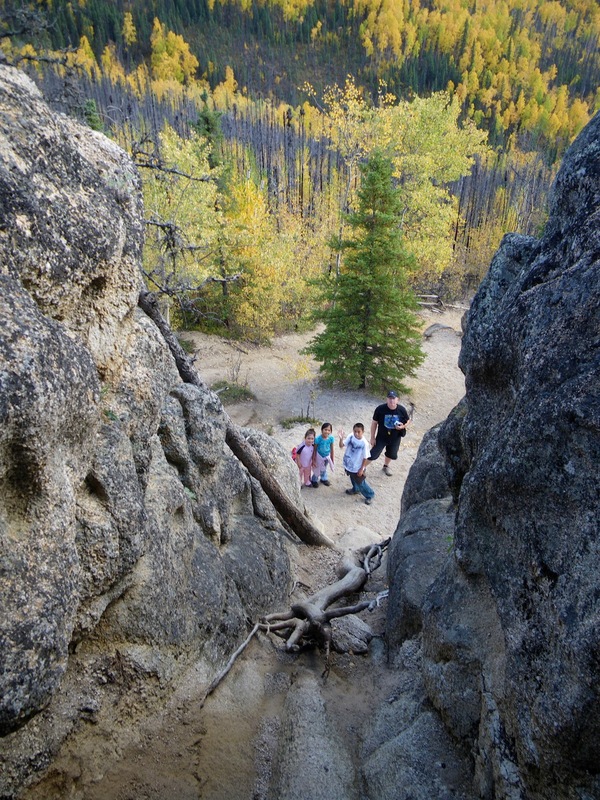 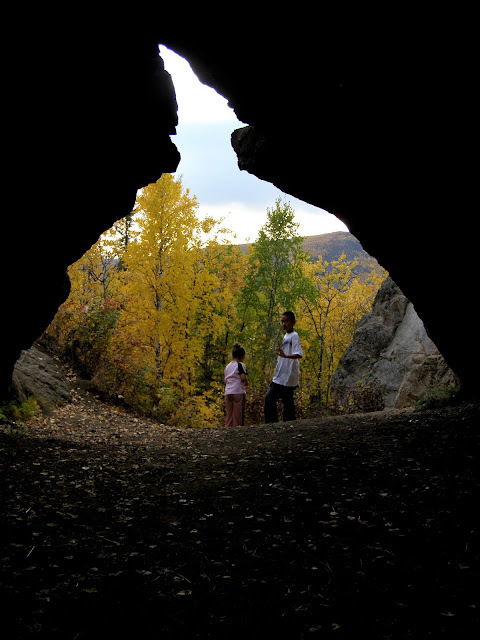 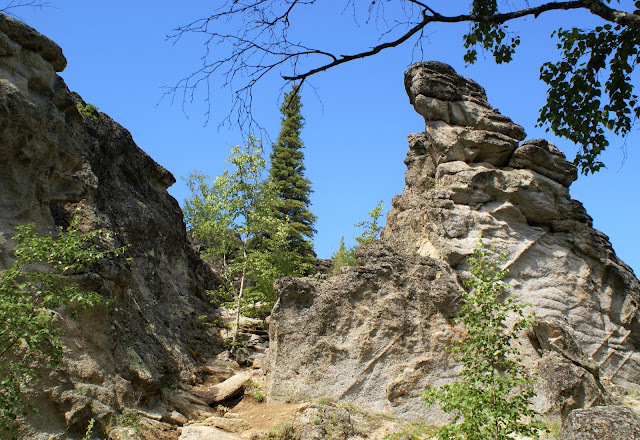 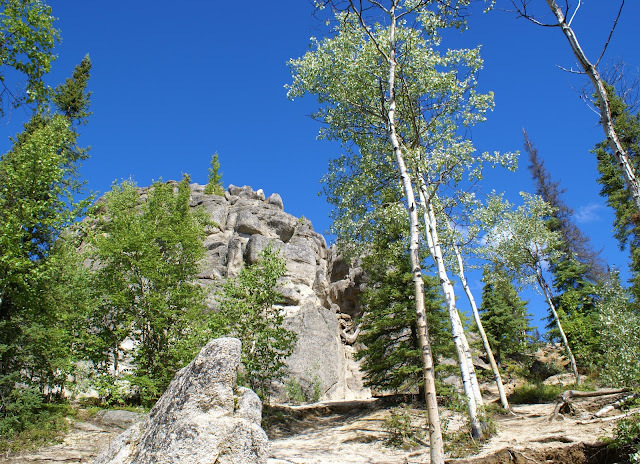 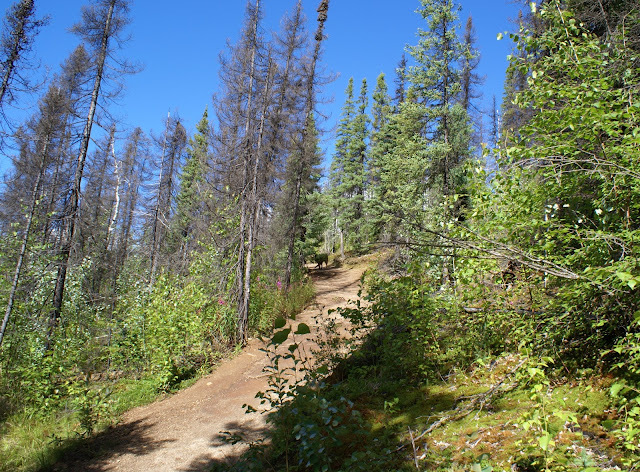 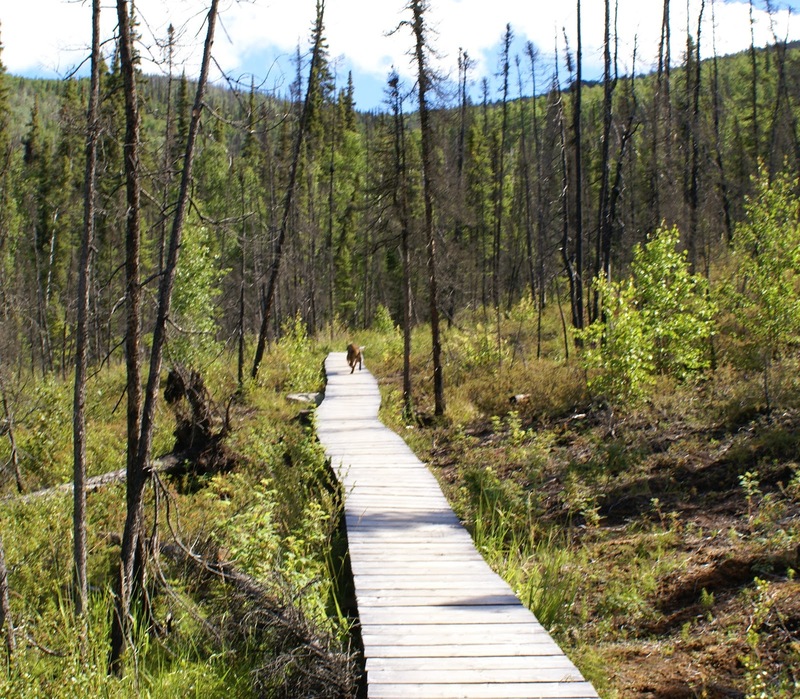 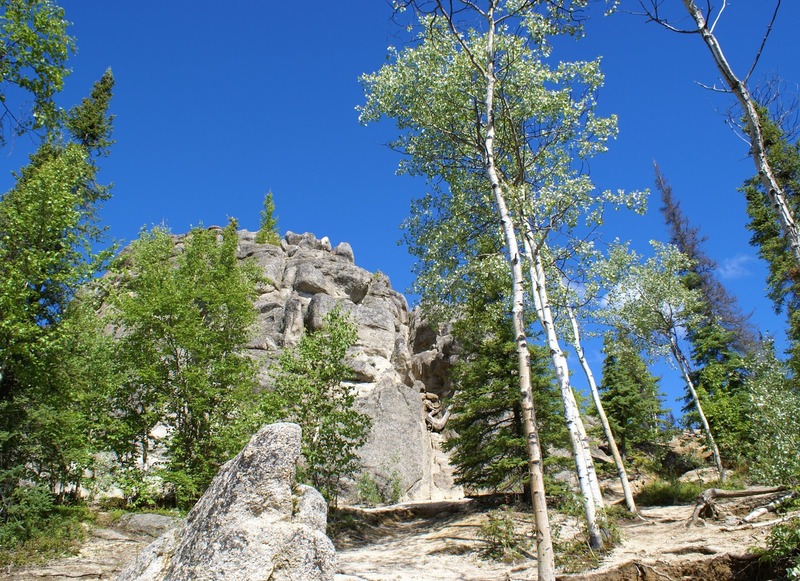 Option to take - a hike up to angel rocks 1.2 mile, or the loop 3.5 miles, or head to Chena Hot Springs resort 8.7 mile trail. 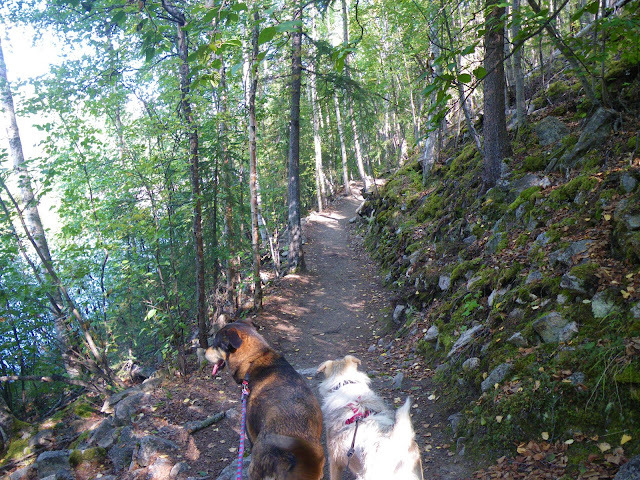 I've done the two but not the 8.7 miles, at least not yet. 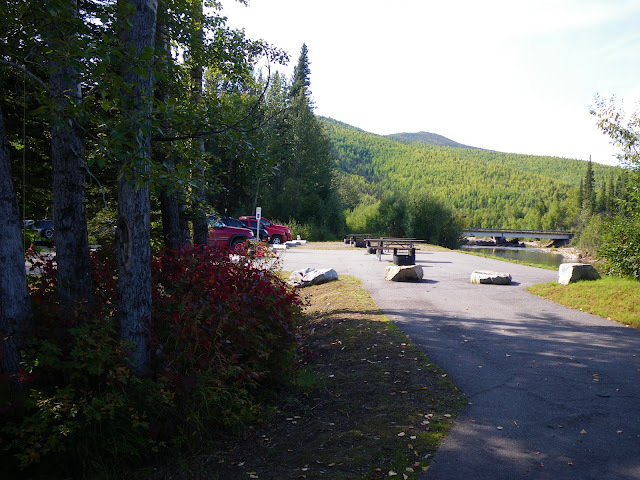 Good parking lot and only cost $5 to park. 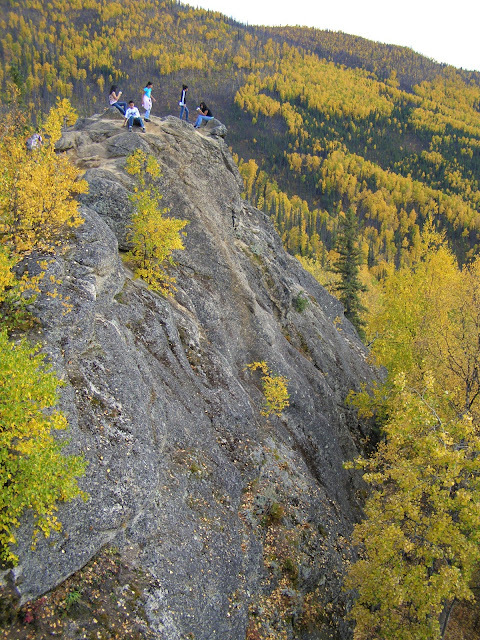 The hike up there is all worth it. 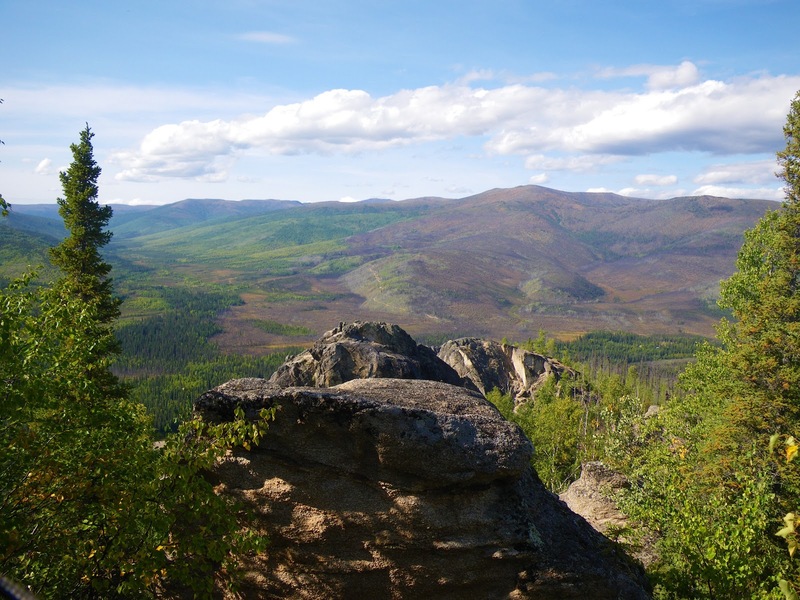 Spectacular views of the the mountains, valleys, and rivers.